Yup, you heard that right. You can make over $400 every freaking month right from the Facebook app that you are using right at the moment. All that you need is at least 50 friends, which everybody has these days. Let me show you how. I promise ya, this ain’t another post with a catchy headline and a fluffy article. This ain’t another “5 ways to make money online” type of article that lists the ways without telling you the ins and outs of how it is or can be done. Before I get in to how you can make money from your Facebook app, look at this image first. Disclaimer – The above image was true when I worked as a social media evaluator 2 years back. The Facebook app settings has since changed. Notice that red bar and see the difference on what additional settings can be found on the left image. Now go to your Facebook app, go to settings and navigate down to “Help and Settings”. Your “help and settings” will look like the one shown on the right of the image. 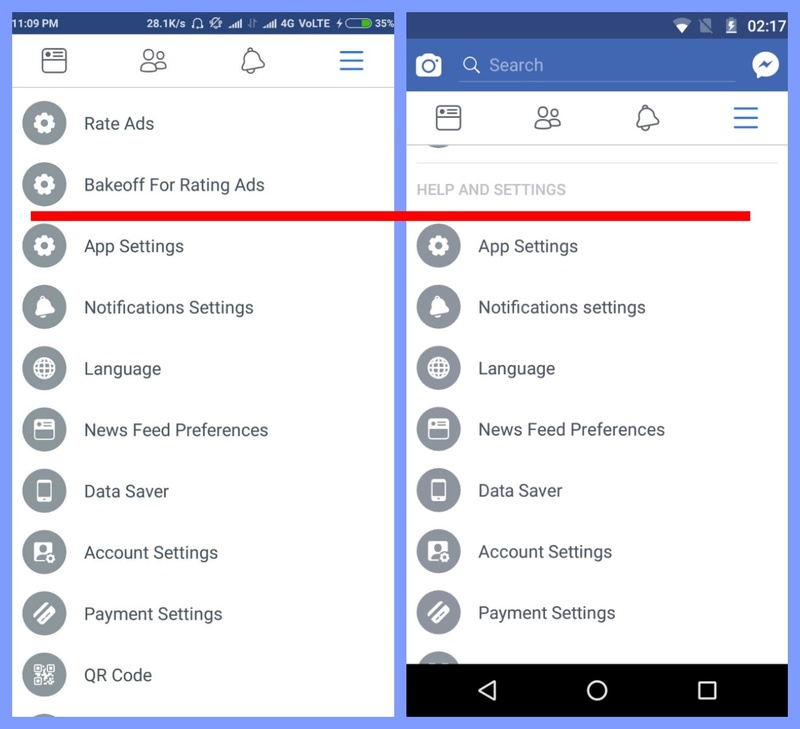 It won’t have two additional lines – “Rate Ads” and “Bakeoff for Rating Ads” shown on the left image. It is because you are not a social media evaluator yet and you are not making money from your app at the moment. Those two additional lines or settings can be found only on the Facebook apps of those who work as social media evaluator. And you are about to be one. 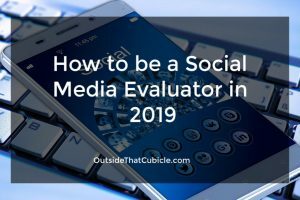 Who is social media evaluator? Where to work as social media evaluator? How long does it take to rate ads? What time should I work? How long can I work as social media evaluator? 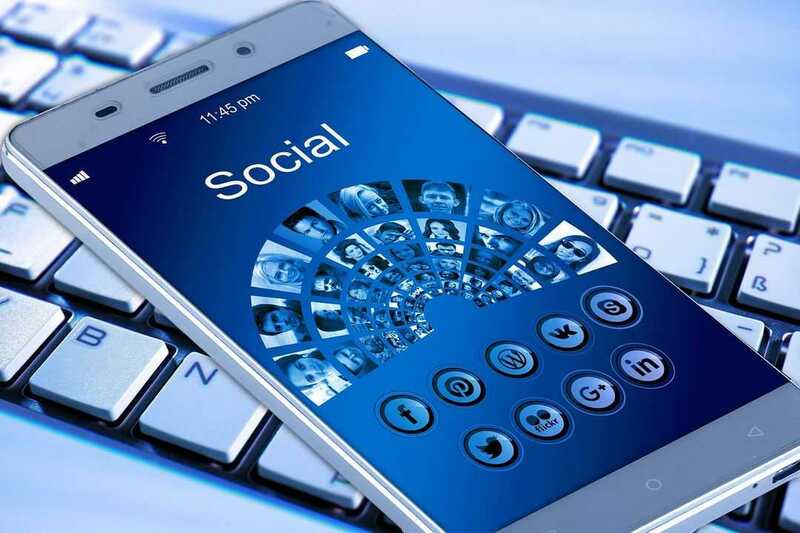 Social media evaluator is a person who give their personal opinions on sponsored ads, news feeds and other advertisement that they see on their Facebook feed. You might have noticed a lot of feeds or posts on your Facebook wall are sponsored ads. All that social media evaluator does is to give opinions about those sponsored ads and get paid for it. It is that simple. It is the same with Instagram. Ability to work at least 1 and 4 hours a day, 5 to 7 days a week up to 20 hours a week. Must be residing and be able to work from your country. Active user on social media platforms such as Facebook and Instagram. Good language skills (the language of your country). Possess a basic level of computer and/or smartphone operational knowledge. Ability and willingness to comprehend and follow instructions independently. Access to a computer or smartphone that is less than 3 years old. If you said yes to all of the above criteria, then you are ready to work as a social media evaluator. Right now, there is a massive opening for social media evaluator position for the following countries. Check to see whether your country is listed here or not. So, was your country in the above list? If you said Yes ! then it is time to create a Payoneer account and get a bonus $25. There is a massive opening for social media evaluator in Appen Butler Hill at the moment. Such openings are rare and comes once or twice a year. The countries that I mentioned above, were all listed in Appen’s current search engine evaluator position. Select your country from the drop-down and fill up an online application form. You will also have to upload your CV. Don’t worry if you don’t see a social media evaluator position. Just apply and they will assign the job available for you. There is a simple qualification test for this position. It is based on the guideline supplied by Appen. It is about a dozen page long and the test questions are of comprehension type. Nothing tricky. But don’t take it lightly though. Once you are through qualification test, you will be added to a rating platform and you will most likely be told to rate the ads via mobile Facebook app. If you use a desktop version of Facebook, you will be ask to migrate to mobile app version as soon as possible. Once added to rating platform, you will have to click on the “rate ads” button that I showed you on the first image above. You will then be rating the sponsored ads by giving your personal opinion about it, based on the guideline supplied by Appen. Depending on how many hours Appen allows you to work per week, it can be anywhere from 1-4 hours per day for 5-7 days a week. You can choose to work 7 days a week or 5 days a week. 5 days a week is the minimum though. For Instagram ads, the time is limited. You might not even get like an hour a day. But then again, it should only be taken up along with rating Facebook ads. You can choose to work for Instagram ads or not. Since it is an extra money, I think you should go for it. From your room, from hotel, from a bus, from a traffic stop, from a beach, from mountains…..my point being from anywhere! As long as you can access your Facebook or Instagram app. But you can’t work when you are travelling abroad. You have to be in your country of origin. You decide. You are the boss. Work anytime you want. You can work for 12-18 months as long as there aren’t any red flags on the quality of your work and you are maintaining the required number of days that you are supposed to work, which is 5 days a week. There were cases where some of my colleagues worked for 24 months. It is extremely rare though. Why only 12-18 months? There is something called banner blindness. When you continue to see the same ads again and again, you tend to ignore it and become indifferent to it. Same is the case with social media evaluators. Hence Facebook wants fresh eyes for the ads shown on their platform. Depends on your country. Appen pays $3 per hour to Indians, while they pay anywhere from $9 – $13.75 to Americans. Some Europeans are paid even higher. Assuming you are an American who is paid $10/hr (remember, payment ranges from $9-$13.75) and you work only 1 hour a day, you can make $300 a month. That’s with Facebook alone. If you add Instagram ads to it, you can very easily make over $400 month. That’s with the assumption that you’re only paid $10/hour which is not necessarily accurate. Making money by giving personal opinions on Facebook ads is the easiest way to make money online. You don’t have to be a techy person, you don’t need high education, you don’t need anything. All that you need is a smartphone and a Facebook or an Instagram account. That’s it. Appen has these type of openings toward the beginning of every year. Grab this opportunity before it’s gone. Here is the link to Appen once again. If you don’t see an opening for social media evaluator position, it is okay. Apply for whatever position is available and once this opportunity to make money with Facebook app comes by, you will be notified about it and you would be able to work. So that was an ultimate guide on how to earn money right from your Facebook account. Got any questions? Ask me in comments. Think this article would be useful to your friends or family, share it with them and spread the love. Can we apply different positions (i.e.social media evaluator and social engine evaluator in the same company, i.e.at Appen? I applied for the Social Media Evaluation job in Appen. I successfully passed the Falcon Content Categorization CCI qualification quiz on 27th August 2018 after which I acknowledged (signed) the SOW on the 28th August 2018. I was supposed to get the details of how to start production which includes the link to create the Facebook workspace logins in 36 business hours which has already long elapsed, but I haven’t received till this date and time. Currently my tile is showing “Start Rating in SRT” but I cannot since I do not have the Facebook workspace login details. Do you know what might be the possible reason. I have written to support but I’ve been replied. Hi Henry sorry for the late reply. I don’t work in Falcon and I don’t really know how it is done. But as far as I know you should be able to work with SRT tool itself. I am not 100% sure though. Hope your support replies to you soon. Don’t you think indian’s gets paid too low in appen? and can i apply for both at a time for diff job i mean SEE for leapforce and SME for appen? Appen has acquired Leapforce and has reduced the payment to $3.5 /hr for Indians. So they are basically the same company now. Thank you again for your interest in Appen! We have received your application and your information has been registered in our system. As soon as there is an opening in any of the projects that match your skills we’ll reach out to you. Please keep in mind that at times there may be a waitlist, but spots open continuously and we may contact you in the next days or weeks. whether i have been selected or not? Hundreds of people apply to Appen everyday. That email means that Appen has received your application and they will contact you as soon as there is a suitable position for you.